Providing students with modern learning resources and technologies can make all the difference to their classroom engagement and education as a whole. Using Cloud based systems, students can explore STEM (Science, Technology Engineering and Maths) and specific Vocational studies anywhere and anytime they have access to the internet. Develop students' literacy νmeracy skills, Information & Communication Technology (ICT) capabilities, critical &creative thinking processes, personal andsocial capabilities and more with these Cloud Learning platforms. Theory presentations which draw on Animations, Simulations, Practical Class Activities, Quizzes and more, will help prepare students for their future careers. 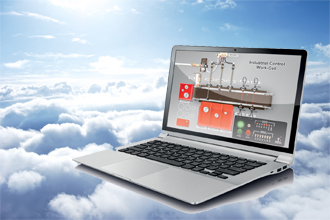 The Clouds are so easy and reliable to use, you'll be up and running in no time – why not contact us for a demonstration? Click on each of links below to explore these in more detail. Try a selection of learning materials from across our range of products.